"¡Mexicanos! ¡Vivan los héroes que nos dieron la patria y libertad!" "Mexicans! Long live the heroes that gave us the Fatherland and liberty!" kicks-off El Grito de Dolores (The Shout of Dolores), the rally cry said to have marked the beginning of the Mexican War of Independence. In Mexico, El Grito is repeated in its entirety every year on September 16th, to celebrate Mexican Independence Day. Cinco de Mayo is El Día de la Batalla de Puebla or The Day of the Battle of Puebla, which honors General Ignacio Zaragoza Seguin’s bravery in battle, fighting to expel the French from Mexico, and the United States supporting the cause. Commemorate this victory and celebrate Mexican heritage by enjoying una bebida or two at one or more of the following dozen places we’ve rounded-up for you. Some of them are starting their fiestas a few days early, so be sure to take note, and make room in your calendar. Specials are for May 5th unless otherwise noted. Distrito: “The Cinco Days of Cinco de Mayo” (5/1 - 5/5) Find different drinks specials each day. 5/1 - $1 Lions Head cans, 5/2 - $2 Corona Light Drafts. $2 Tecate cans, 5/3 - $3 Coronas bottles, Pacificos bottle, Dos Equis Draft (Lager or Amber), 5/4 - $4 Draft pints (Corona Light, Dos Equis Lager or Amber, Negra Modelo, Modelo Especial), $4 House Margaritas, $4 Sangria, $4 Tequilamosas and 5/5 - $5 House/Frozen Margaritas, $5 Mexican Dragon, $5 Mexican Quaker, $5 Corona Familiar (32oz), $5 Sangria, $4 All Draft Beers. Sancho Pistola’s: Party at Joe Gunn’s and Casey Parker’s (of Jose Pistola’s) new place in Fishtown with a Mezcal Mule, made with Crabbie’s Original alcoholic ginger beer and bitters, and a Crabbie Sancho, which is a pear margarita with Crabbie’s Original served in a glass rimmed with cinnamon and chili pepper (prices TBA). Complimentary tastings of Crabbie’s new Spiced Orange is available until 8 PM. Cantina Los Caballitos: (5/2 - 5/5) $2 Corona Light, $3 Dos Equis Amber, $6 El Mayor, $6 Maestro Dobel, $6 Tequila Cheladas and $7 Watermelon Margaritas. Also find Star Wars Day ("May the 4th Be With You") thematic drink specials including $6 Darth Vadorade and $7 Storm Trooper, and food specials like Jabba the Gut tacos and Princess 7 Leia Dip. Avenida: (5/2 - 5/5) $4 Dos Equis Amber and Lager, $3 Tecate cans and Beeraritas, (Margaritas made with Coronitas). Xochitl: (5/3 - 5/5) All day specials include $6 Xochitl margaritas, $3 Corona Light Draft and $2 Chicken Tacos. Barra: (5/4) $3 mimosas and margaritas all day long. McGillan’s Olde Ale House: Specials on margaritas, Mexican food and more. (Prices TBA). Mad Mex: Starting at 9AM, find breakfast tents, giveaways and $5 22 oz Dos Equis drafts all day (in addition to $1 off all Mexican bottles). Johnny Mañanas: Stop in anytime between now and May 5th for $5 classic margaritas or flavored ones for just $1 more, and get a chance to win a trip for two to Cancun, Mexico. Interstate Draft House: Celebrate indoors or out with $2 Tecate cans, $4 Margaritas, $6 Fishtown Iced Teas, and Taco Specials and BBQ. Cafe Ynez: BYO tequila for making margaritas and sangria ($7). Enjoy all day food specials like a Mexican style sandwich. Iron Abbey: (5/2-5/5) $4 Espolon Margaritas, $5 Margarida Grande, $6 Cabo Wabo shots, and a special menu. 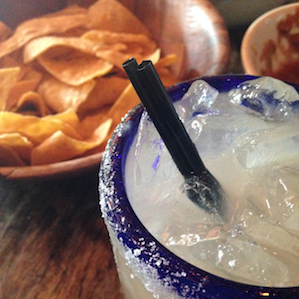 Bainbridge Street Barrel House: (5/4-5/5) $6 Regular and Passionfruit Margaritas and Mexican food specials.